The Balboa Entry provides an easy way for the dancers to transition into a Balboa rhythm, and so is the best linking move from Lindy Hop to Balboa. 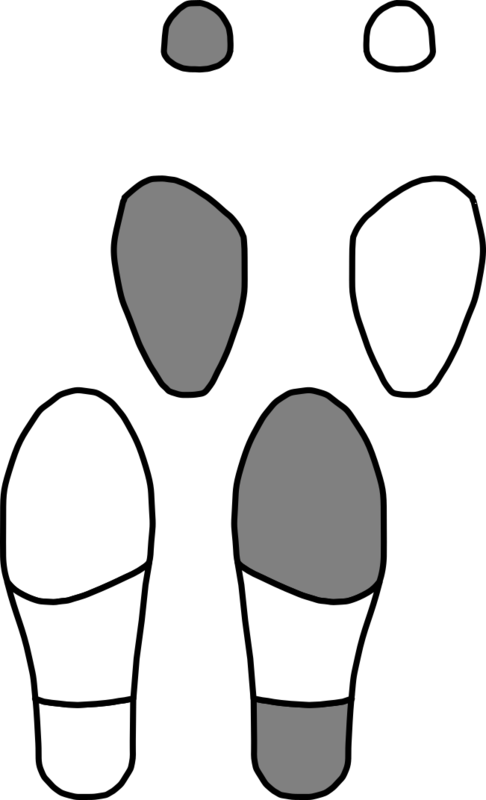 The normal dance position for Balboa is similar to a Lindy Hop closed position, and the rock step at the beginning of the move fits in with the normal Lindy rhythm. The Balboa Entry is also useful as a transition between one of the more complicated Balboa moves back to the Balboa Basic (or just as a recovery move when things go wrong). The dance position for Balboa is slightly different from a Lindy Hop closed position, however. The dancers are pressed very closely together, torso to torso, so that the follower can feel the rhythm of the leader's steps and follow them accordingly. With this close a hold, the dancer's feet are also slightly offset—each dancer's right foot is in between their partner's feet, and each dancers left foot is outside their partner's feet. This move immediately shifts into the primary Balboa rhythm; the dancers take steps on the 12x456x8 beats. Also, the last four beats of this entry figure are the same as the last four beats of the Balboa Basic described next; in other words, this entry figure joins the basic at its halfway point. 1. M:BL W:BR Start from an closed position, with the leader's left hand holding the follower's right hand. The leader takes a step backward on his left foot. The follower takes a step backward on her right foot. 3. M:PefL W:PebR The leader points slightly forward with his left foot. The follower points slightly backward with her right foot. 4. M:FL W:BR The leader takes a step forward on his left foot. The follower takes a step backward on her right foot. 5. M:FR W:BL The leader takes a step forward on his right foot. The follower takes a step backward on her left foot. 6. M:TL W:TR The leader closes his left foot to his right foot. The follower closes her right foot to her left foot. 7. M:PebR W:PefL The leader points slightly backward with his right foot. The follower points slightly forward with her left foot. 8. M:TR W:TL The leader closes his right foot to his left foot. The follower closes her left foot to her right foot.